A massive earthquake, measuring 8.9 on the Richter Scale, has hit off the North - East coast of Japan triggering a tsunami which has since caused extensive damage to coastal towns. The Japanese capital, Tokyo, has also been affected with reports of fires and damage to buildings. Japanese television has shown the tsunami sweep away cars, ships and even buildings as it surged through coastal towns. The tsunami warning was extended to the Philippines, Indonesia, Taiwan, the Pacific coast of Russia and Hawaii and the earthquake was felt as far away as the Chinese capital Beijing. The earthquake struck 250 miles from Tokyo at a depth of 20 miles. 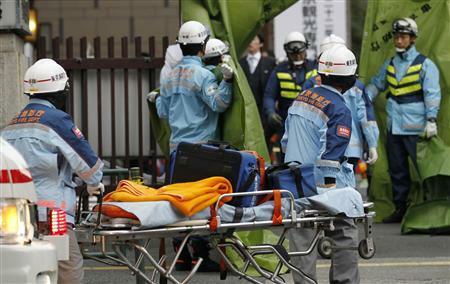 The earthquake also triggered a number of fires, including one at an oil refinery near Tokyo. So far three people have been reported dead and several others injured. No reports of Irish people caught up in the crisis have emerged yet. For more information visit the Irish Times website or follow our Twitter feed for further updates.